LOVE this picture from Bella Notte with the suitcases (what is great is you can make your table any height you want! 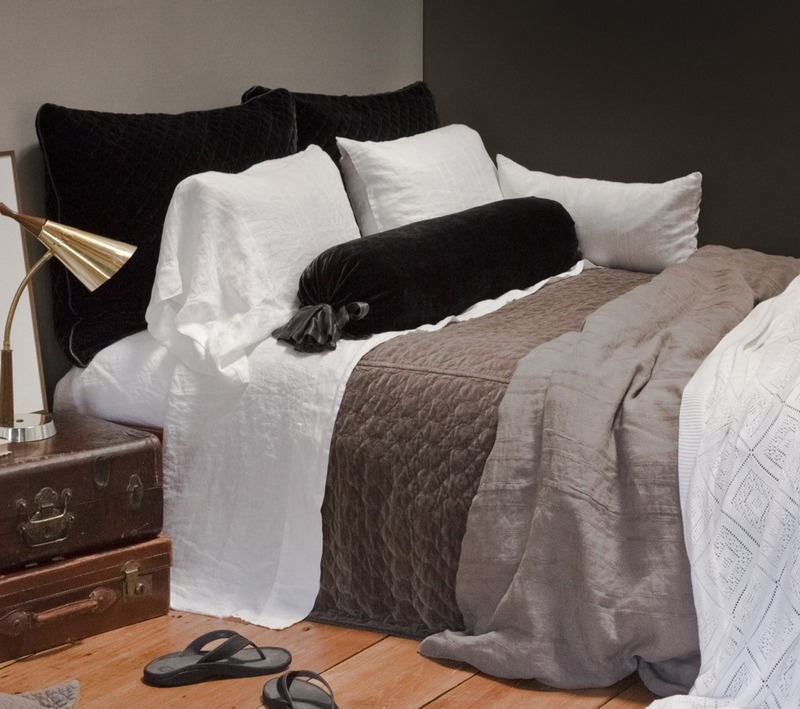 )- don't you want to dive into this bed? 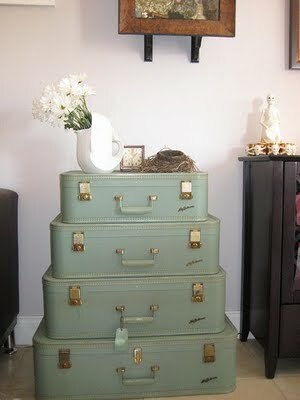 Love the use of the suitcases found here- wonderfully creative use of luggage for entertaining! 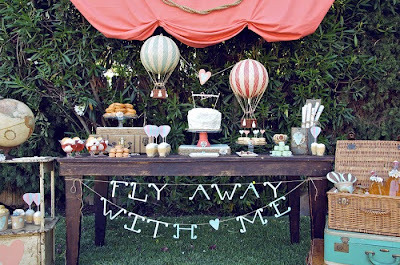 This fun picture is from my friend Becki at Whippycake~ love the modern twist. 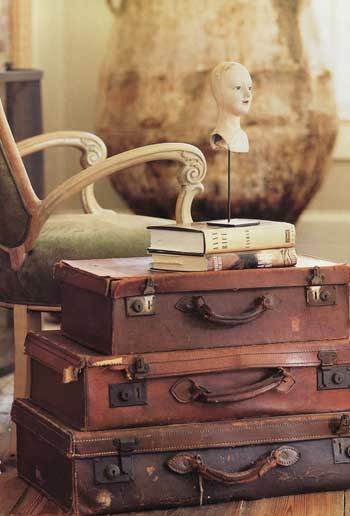 Don't know if this luggage is actually holding this console up- but it makes for a very interesting piece. Need an occasional table? 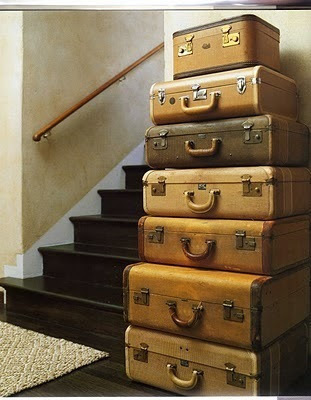 Grab a couple of suitcases- they look great and can provide additional storage too. 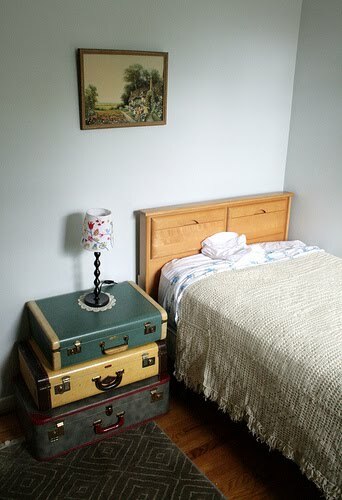 Photos FOUND on Apartment Therapy blog. 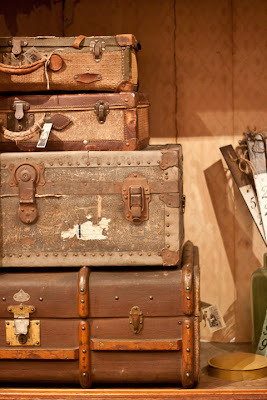 Photo by Trevor Dayley of FOUND suitcases & trunks. 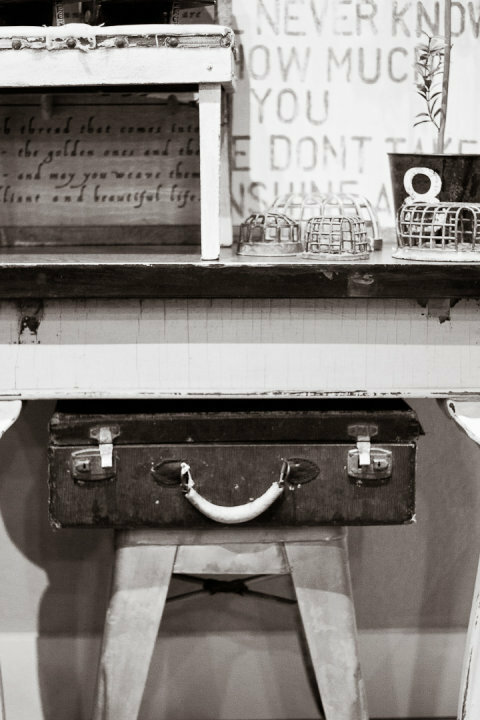 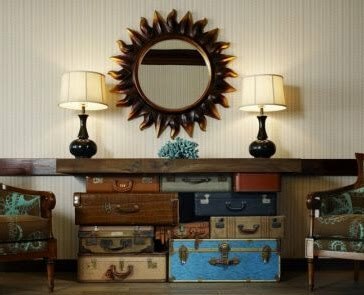 *We have a great selection of luggage in FOUND- if you are needing a fun piece of storage or want to create your own luggage table- we would be happy to help! 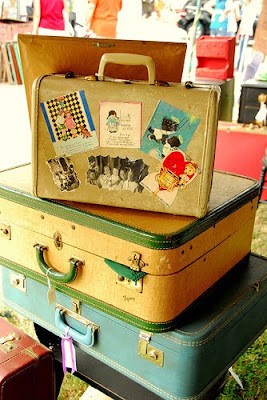 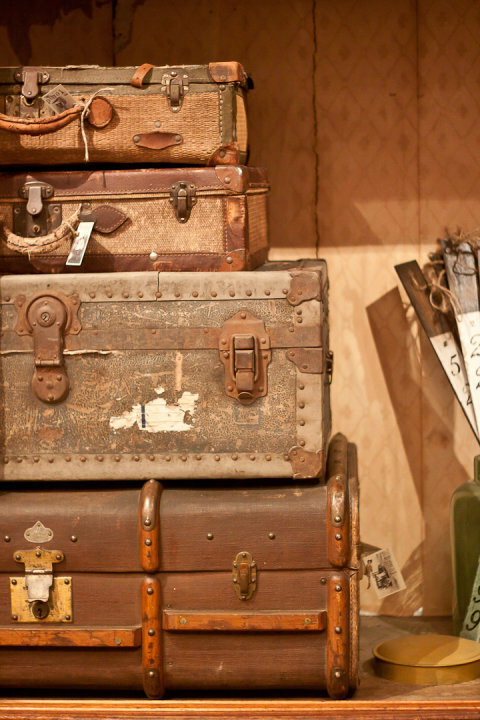 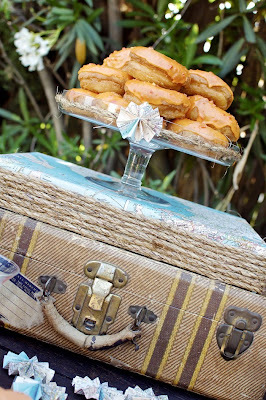 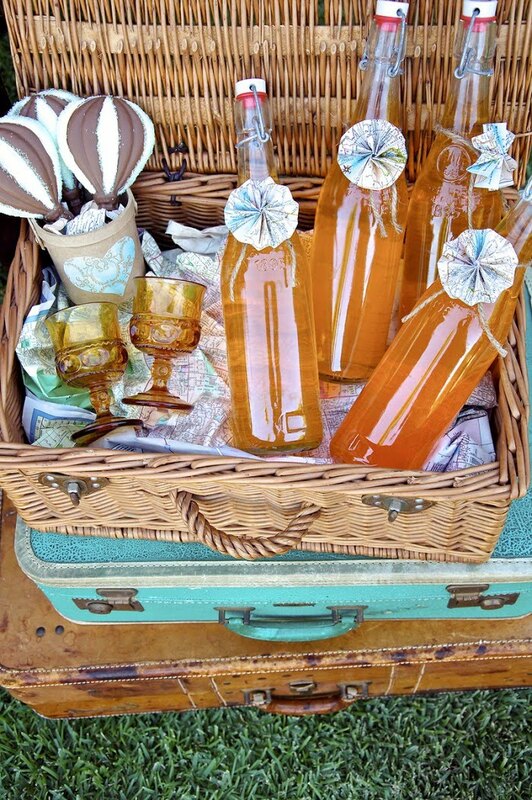 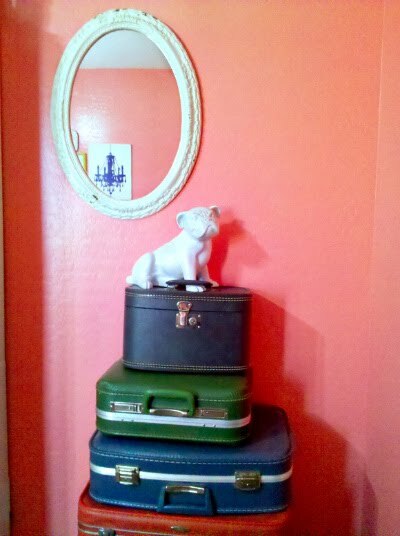 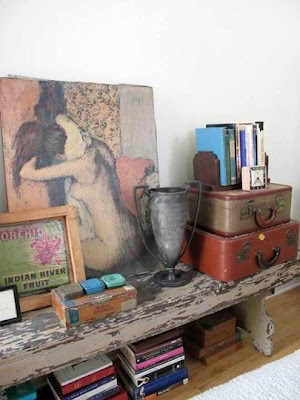 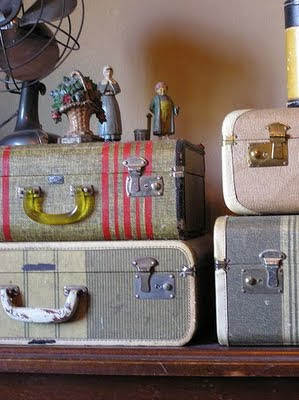 Wonderful ideas on how to use vintage suitcases!Thanks for sharing!